There are over 20 different attachments available for the JUMBO, making it the most versatile of all outdoor machines. 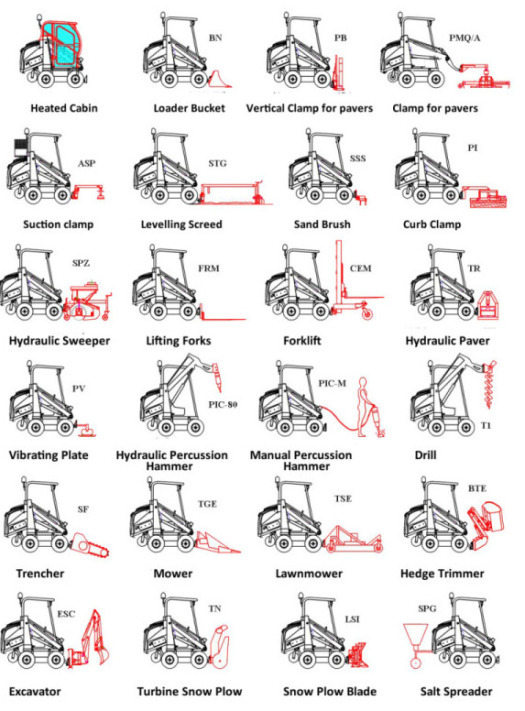 These attachments include a paver clamp, a cement mixer, a snow blower, and many more! For more information on available attachments, please contact us.